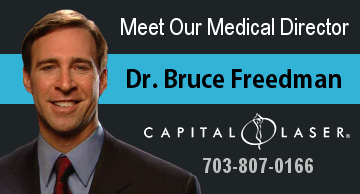 Capital Laser serves the Washington DC Metropolitan area and offers laser hair removal for both men and women. Using FDA approved state-of-the-art technology such as the Candela GentleMax Pro 2018, coupled with our expertise in the laser hair field, we are able to provide our clients with safe, relatively painless, and effective results. We are conveniently located at the Rosslyn Metro station in Arlington, Virginia, walking distance from Georgetown in Washington, DC.